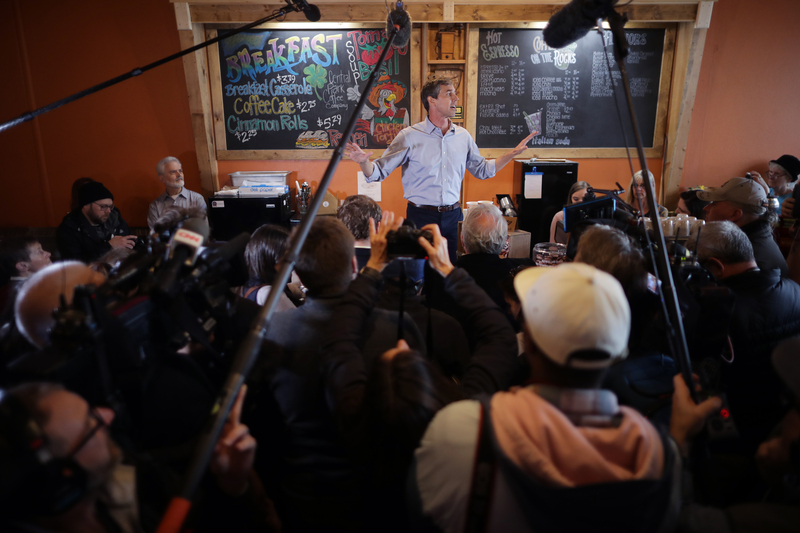 O’Rourke made another stop in Iowa to the Sing-A-Long Bar and Grill, where he ditched the coffee counter for a spot next to the register by the bar. 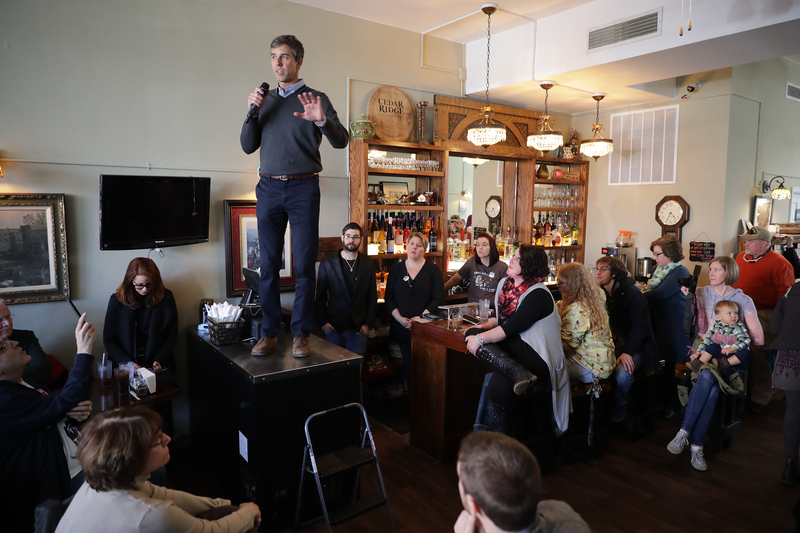 Annette from Sing-A-Long told the Caller that they offered O’Rourke a step stool to ease his climb to the counter, which an employee later cleaned with sanitizer. “We brought out a step stool to make sure he was safe,” she explained. An unnamed employee at Cargo Coffee in Madison, Wisconsin, explained that normally employees at the shop would use “a sanitizer that is still safe for humans to ingest” on dirty countertops, but they took extra steps to ensure cleanliness after O’Rourke’s Sunday visit. Photos only show O’Rourke standing on a chair at Cargo Coffee, but the employee said O’Rourke stood on the counter as well. Interviews with Suann and Annette revealed that O’Rourke does have at least one healthy habit: asking for permission. Baristas from other establishments told The Daily Beast that they would prefer O’Rourke stay off their counters if he happens to visit, noting the potential sanitary and safety issues. “I would understand standing on the counter because the crowd was so big, although organizing it would be better. But he’s kneeled down. It seems like a photo op that wasn’t necessary. His feet are right by the cups,” Josh Wilson, owner of Cohesive Coffee in Greenville, South Carolina, said. Connor Finnegan, who manages a coffee shop in Brooklyn, New York, said he would not allow O’Rourke to stand on his counter. “He can be heard and seen perfectly well standing on the ground,” Finnegan said.